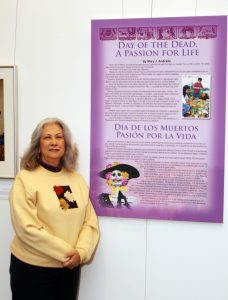 Text and photo by Patty Cruz Lopez Mexicans living in Mexico today carry on the Aztec and Mayan view of death as a rite of passage by participating in an annual tradition to honor those who have passed on Nov 1st and 2nd in a celebration called the Day of the Dead. The works of photojournalist Mary J. Andrade chronicle the unique way people from different parts of Mexico observe this time-honored ritual from beginning to end. 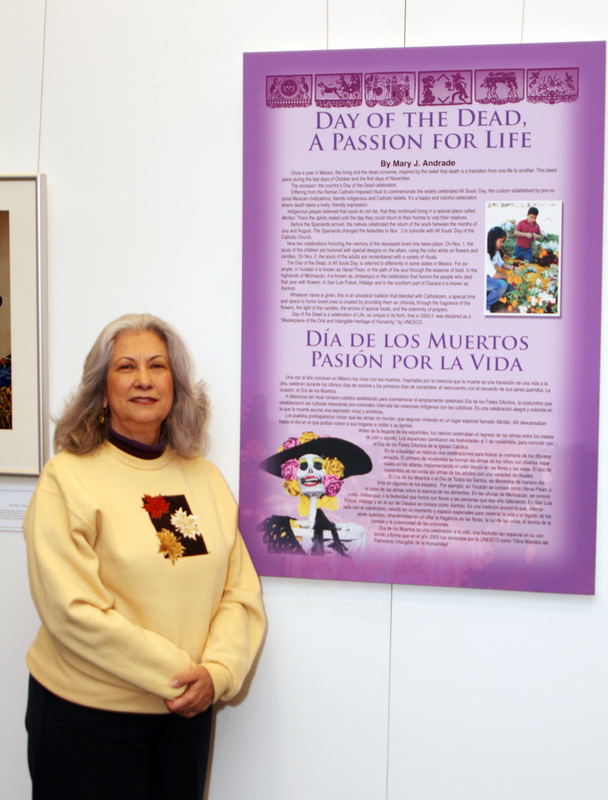 Andrade’s pieces anchor an exhibition entitled Day of the Dead a Passion For Life, currently showing on the second floor of the M.L.K. library in downtown San Jose. People dressing up as calacas or skeletons in Naolinco, Veracruz, wearing masks to dance during the town’s festivities in Huautla, Hidalgo or tending to the arch for the lonely soul in San Luis Potosi all taking part in the Day of the Dead celebrations are immortalized through Andrade’s photographs. 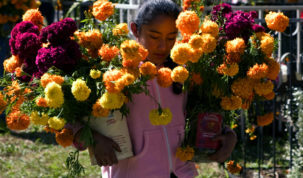 Preparations to gather elements vital to the creation of an altar are depicted in a picture of a woman carrying dozens of the bright orange cempasuchitl flower, whose fragrance is said to attract the souls of the dead, and in a picture of a man making el pan de muerto the traditional bread made for the dead. Andrade’s life’s work took her to a little town in the southeast of Mexico City called Mixquic, where she captured an eerie shot entitled Night Vigil: a father with his daughter. Taken in the dark of night, in the town’s only cemetery, the journalist uses candlelight to capture a father and daughter sitting next to a tomb. The candlelight combined with the smoke from burning incense manipulate the daughter’s image to appear fantastical, leading the viewer to question if she is really there or if she is a spirit from beyond. 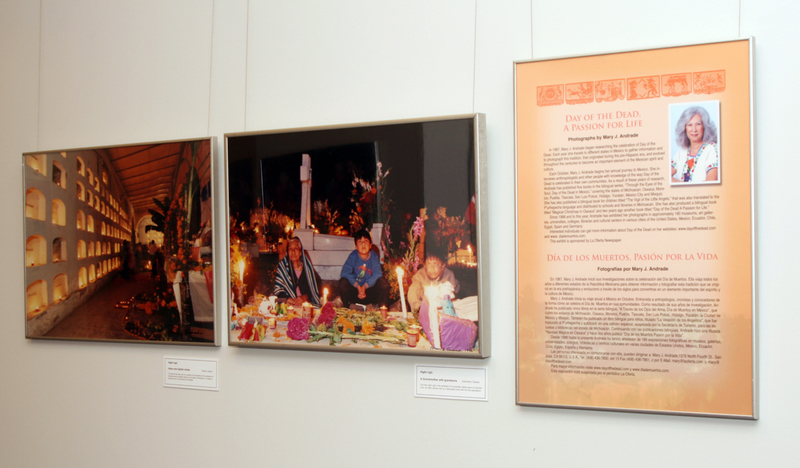 The exhibit is available for viewing through Nov 27. 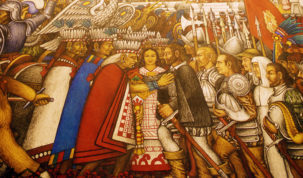 It brings a tradition that is entrenched in Mexican culture to life by highlighting the way it evolves from state to state through captivating and thought provoking imagery.